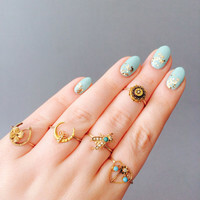 Check out Leola Revives on Etsy for the best in antique, vintage and handmade jewelry, Victorian curiosities and amazing stacking rings. 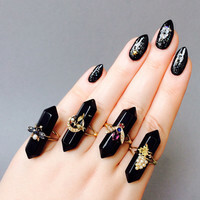 GRAPE decorated onyx hexagon point 14k gold ring, antique pin conversion ring, statement ring, handmade ring, solid gold cocktail ring. 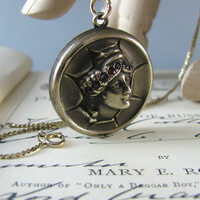 RARE antique Victorian locket with woman figure, gold plated silver with garnets, vintage Edwardian necklace. 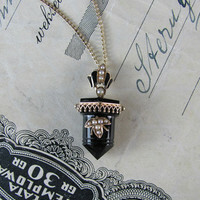 LOVELY black onyx and 14k gold mourning necklace, pendant necklace, antique Victorian onyx point and seed pearl gothic necklace. 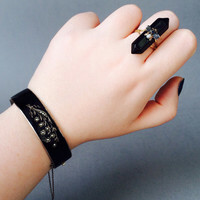 VICTORIAN antique bracelet solid silver, black enamel bangle with seed pearl flowers, mourning jewellery, stacking bangle. 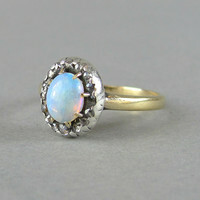 VICTORIAN opal and rose cut diamond antique engagement ring, solid 14k gold ring with silver set jelly rainbow opal. 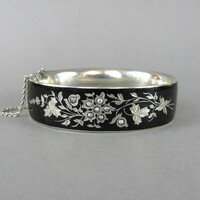 VICTORIAN mourning bracelet silver with black enamel and seed pearls, flower bracelet, silver stacking bangle, mourning jewelry. 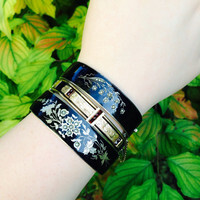 ANTIQUE Victorian Bohemian garnet and black enamel bracelet, vintage bangle, mourning jewelry, gold palted witchy bracelet. 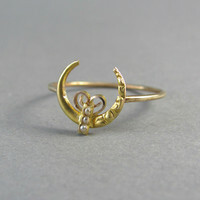 VICTORIAN gold and pearl moon stick pin conversion ring, stacking ring, engagement ring, promise ring, statement ring, Sailor Moon ring. 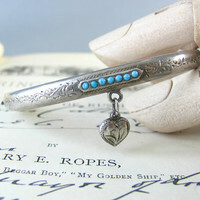 LOVELY antique Victorian heart dangle with turquoise etched silver bracelet, bangle, cuff perfect wedding jewellery. CUSTOM made Victorian or Edwardian era pin conversion antique engagement ring, promise ring, stacking ring, gold ring, diamond ring.